Dis Class is Lit Fam! 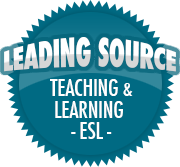 – Teaching Slang in the ESL Classroom | So, You Think You Can Teach ESL? How well do you know your current slang? Take this quiz on We Are Teachers’ website and find out! How did you do? I didn’t do too well. I’m not hip and cool like kids these days. The emails also reportedly referred to former Miss America contestants as an offensive slang term for a female body part and joked about another winner’s death. This young gang of pickpockets in southern France will have your kids practicing their sneaking skills and speaking in authentic slang (there’s a glossary). Slang has been around for many years; Shakespeare supposedly invented tons of words that were considered “slang” for his day (you can read about them here). Imagine talking like people did during the Renaissance, or in the 1800s. If you’ve read documents or heard how people spoke then, it’s pretty hard to understand compared to today’s speech, right? Most textbooks and classrooms teach formal speech. We use certain language when writing letters, addressing people older/younger, for certain occasions like weddings. Slang is used in informal speech, and it’s very informal. I found a great post here that gives more information about it. The web page gives some good activities to try with students and discussion points. It also has a matching activity of the slang words to their appropriate meaning. These are some examples of new slang words kids use now. Over time humans have simplified some words, changed other words, and taken out words altogether. Slang is created when words are either used to create new meaning, or a new word is made up to convey meaning where other words don’t suffice. Whether language is descriptive or prescriptive, slang words and phrases help simply language and make it more effective communication. Then again, if you use slang and someone doesn’t know what it means, then you’ve failed at communicating clearly. So, it’s important that all parties know and understand the words and context in which they’re used, to convey meaning simply and effectively. It’s important to explain when slang is okay to use, and when it’s not. Classrooms, for example, are typically not appropriate places for using slang (with exception). Would you greet your teacher/instructor with, “Yo dawg! What’s up? How’s it hanging?”, I wouldn’t think so. Likewise you should instruct your students to address certain people such as teachers, doctors, parents, etc., formally as opposed to when they are with their friends. Busy Teacher has an article about teaching slang words, which you can read here. Using slang can get your students’ attention quickly as they probably don’t know what you’re saying. The New York Times also has a lesson plan for teaching slang. It includes a warm-up, main activity, and follow-up discussion questions. *Make sure the words and meanings are appropriate for your students’ age and ability levels. Can you take this quiz on slang and see how much you know? Or maybe have your students take it? For further reading, read this study by the Eastern Michigan University. share your story below in the comments!